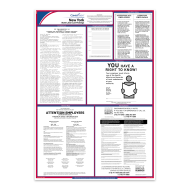 The Mines Press' labor law posters meet every state and federal posting requirement, keeping your law firm in full compliance. Your firm will be covered, no matter where it is located. Every single company with at least one paid employee must display up-to-date federal and state labor law postings—no matter where in the country you do business. Labor laws change frequently, and whenever a change occurs businesses are legally required to display these changes to their employees. An updated labor law poster should be placed in an easily seen area in each location your business operates. Common places to display them include entrances and exits, near time clocks and in cafeterias or break rooms. 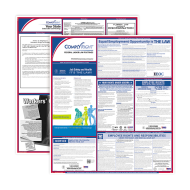 While displaying current federal and state law posters is mandatory, it also helps to protect your firm. By complying you can avoid government fines as well as safeguard your business in the event of a lawsuit. 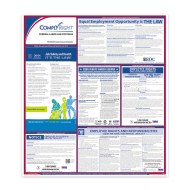 Our posters are developed by a team of attorneys who regularly monitor and interpret posting requirements, which ensures that your company is in full compliance.